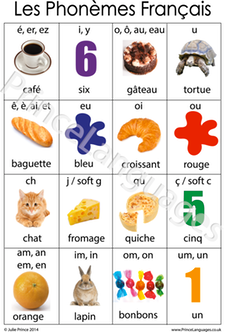 This A2 full gloss poster lists all the key phonemes children need to practise in French and their corresponding spellings. Each sound is illustrated by a colour photo and an example word that will be familiar to the children. This will cach children's attention when on your classroom wall. Why not get the matching A6 sticker versions for the children's books or folders? This A6 adhesive label is a scaled-down version of the French phonemes poster. It is designed to go inside each child's book or folder as an ideal reference to the key phonemes in French. Being able to hear the sounds of words and say them correctly are vital elements for reading, writing, speaking and listening comprehension, particularly when learning another language. This book is about developing children’s perception and production of the sounds of the language they are learning. 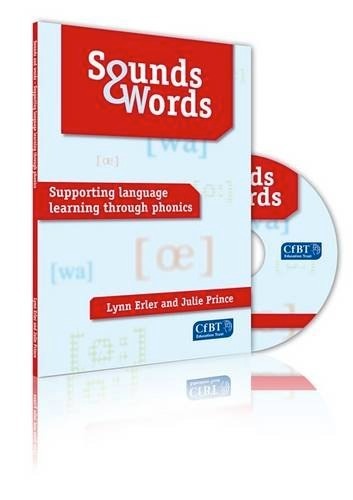 It builds on phonics work in English developed at Key Stage 1, and presents the phoneme-grapheme correspondences of three of the languages most commonly taught in primary schools – French, Spanish and German. The book contains numerous practical examples for use in the classroom and is also accompanied by a CD providing a wide range of resources for use by teachers. 0845 458 9910 (or 0845 458 9911 for trade orders), or order online at�/span>www.centralbooks.co.uk.